I wanted to be simple and chic in a little black dress. This one is by Stop Staring. My stockings are by Agent Provocateur and my satchel is by Betsey Johnson. I wish I knew who made my shoes as they say “Made in Italy” but that is still a mystery. Before the madness. 40/40 had such a pretty bar! 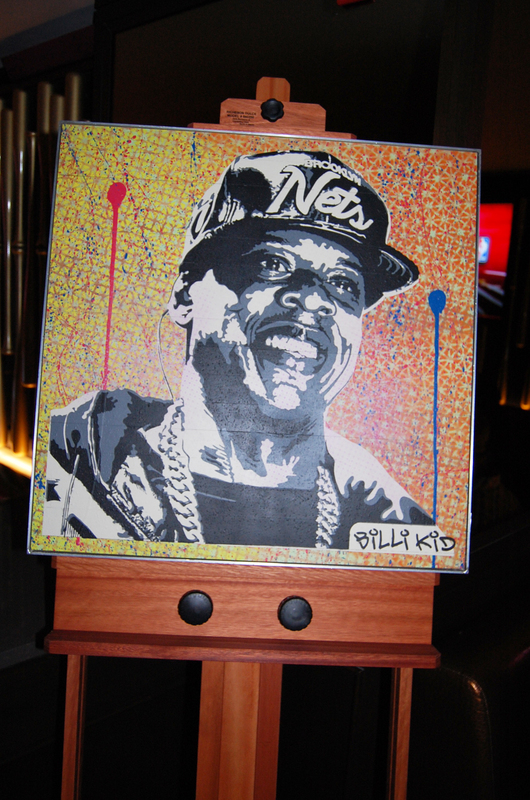 Jay Z portrait by Billi Kid. I love that NBA2k13 has so much art and artists incorporated with the whole movement. Good times! 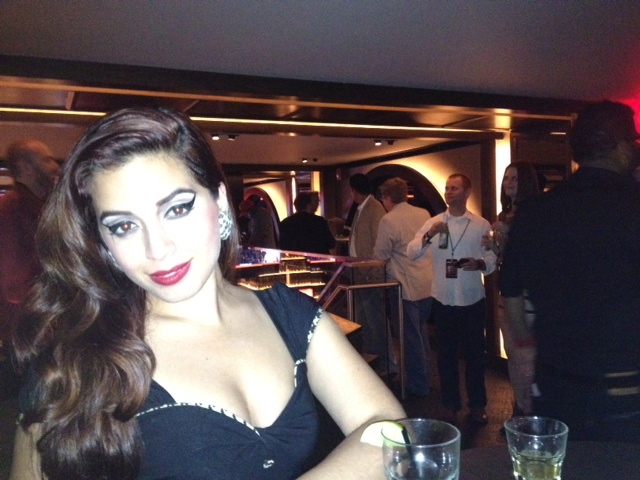 ← MAC Marilyn Monroe collection launch party! Sweet lawd lady! You mustve turned everyone’s head that night! Smokin! Gorgeous! Loving the liner, but that’s nothing new! So did you hang out w JayZ? You look gorgeous. I have that dress! You looked beautiful as always. Glad you had a great time. Ur nails look lovely too! Uh huh and who’s this beau?? It was nice meeting you at 40 /40 Vinny Vandal! Love that dress. 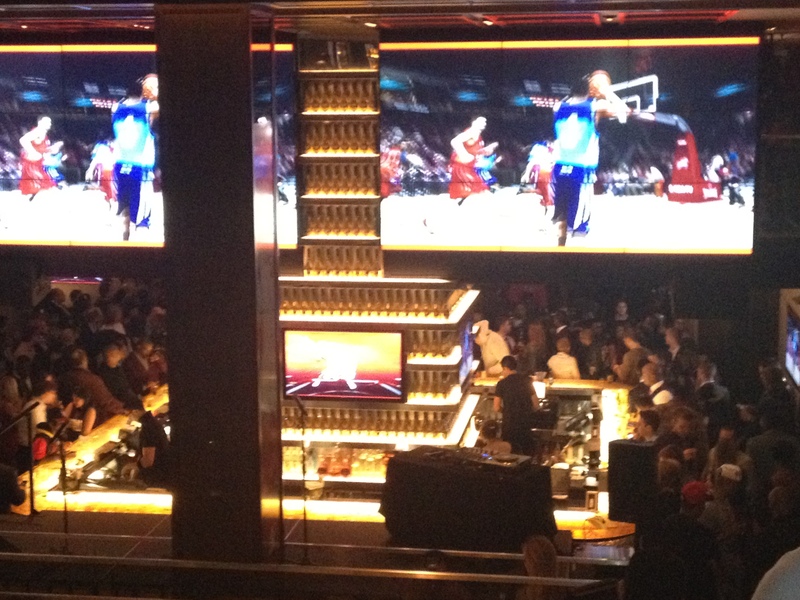 I got to go to 40/40 last May for some boxing match, but it was nice inside and the food they had was delicious. 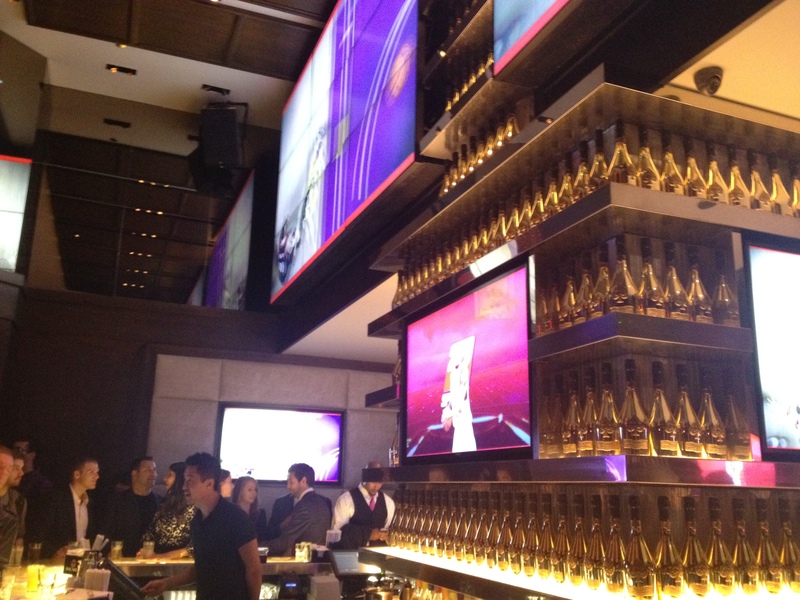 Fun times, but it like Vegas…anything that happens at 40/40 stays at 40/40!